Fatigue cracking is one of the primary damage mechanisms of structural components. 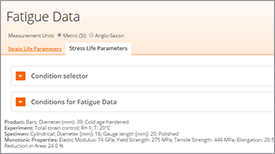 Fatigue cracking results from cyclic stresses that are below the ultimate tensile stress, or even the yield stress of the material. 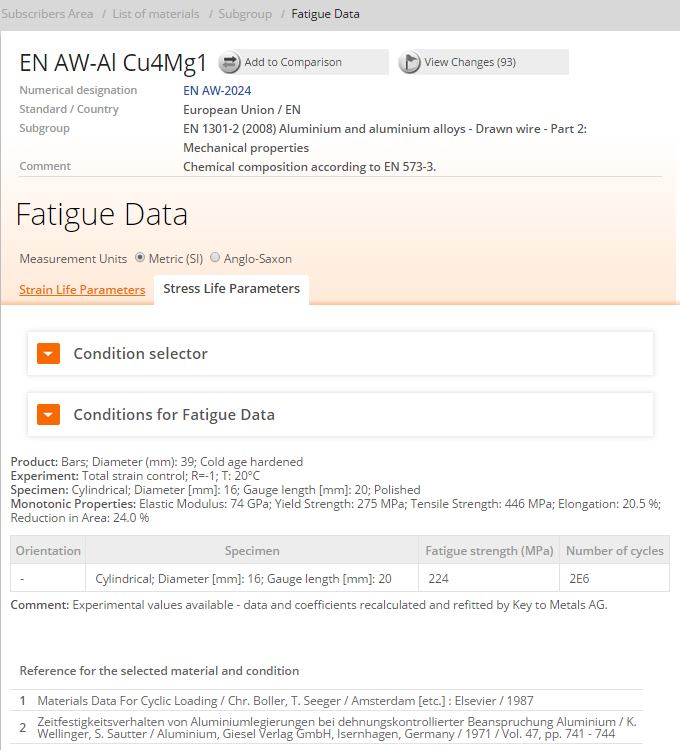 The name “fatigue” is based on the concept that a material becomes “tired” and fails at a stress level below the nominal strength of the material. The fact that the original bulk design strengths are not exceeded and the only warning sign of an impending fracture is often just a tiny crack, makes fatigue damage especially dangerous. 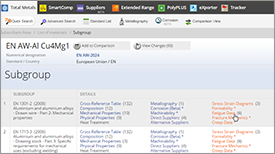 In materials science, fatigue is the progressive and localized structural damage that occurs when a material is subjected to cyclic loading. 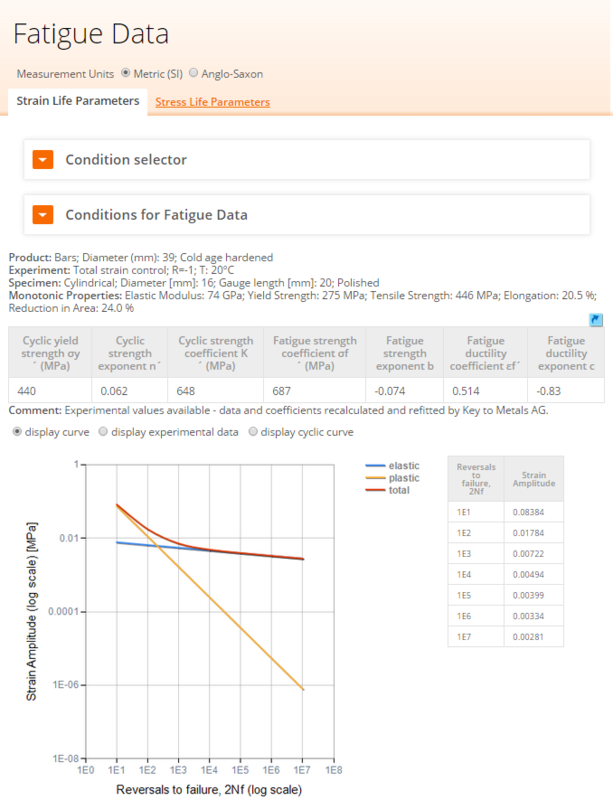 The maximum stress values are less than the ultimate tensile stress limit, and may be below the yield stress limit of the material. 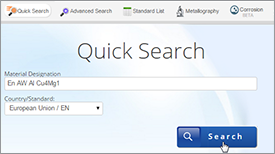 Fatigue occurs when a material is subject to alternating stresses, over a long period of time. Examples of where fatigue may occur are: springs, turbine blades, airplane wings, bridges and bones. There are three common ways in which stresses may be applied: axial, torsional, and flexural. Examples of these are seen in Figure 1. There are also three stress cycles by which loads may be applied to the sample, the simplest being the reversed stress cycle. This is merely a sine wave where the maximum stress and minimum stress differ by a negative sign. An example of this type of stress cycle would be in an axle, where every half turn or half period as in the case of the sine wave, the stress on a point would be reversed. The most common type of cycle found in engineering applications is where the maximum stress (σmax) and minimum stress (σmin) are asymmetric (the curve is a sine wave) not equal and opposite. This type of stress cycle is called the repeated stress cycle. The final type of cycle mode is where stress and frequency vary randomly. An example of this would be automobile shocks, where the frequency and magnitude of imperfections in the road will produce varying minimum and maximum stresses. For some components the crack propagation life is neglected in design because stress levels are high, and/or the critical flaw size small. For other components the crack growth life might be a substantial portion of the total life of the assembly. 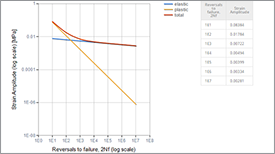 Moreover, preexisting flaws or sharp design features may significantly reduce or nearly eliminate the crack initiation portion of the fatigue life of a component. The useful life of these components therefore may be governed by the rate of subcritical crack propagation. Figure 1: Visual examples of axial stress, torsional stress, and flexural stress. Aircraft fuselage structure is a good example of a structure that is based largely on a slow crack growth rate design. Many years ago, the USAF reviewed a great number of malfunction reports from a variety of aircraft. The reports showed that the preponderance of structural failures occurred from 1) built-in preload stresses, 2) material flaws and 3) flaw caused by in-service usage. These facts led to a design approach that required the damage tolerance analysis to assume a material flaw exists in the worst orientation and at the most undesirable location. The analysis helps to ensure that structures are designed that will support slow stable crack growth until the crack reaches a length where it can be reliably detected using NDT methods. The fatigue life of a component can be expressed as the number of loading cycles required to initiate a fatigue crack and to propagate the crack to its critical size. Therefore, it can be said that fatigue failure occurs in three stages – crack initiation; slow, stable crack growth; and rapid fracture. As discussed previously, dislocations play a major role in the fatigue crack initiation phase. In the first stage, dislocations accumulate near surface stress concentrations and form structures called persistent slip bands (PSB) after a large number of loading cycles. 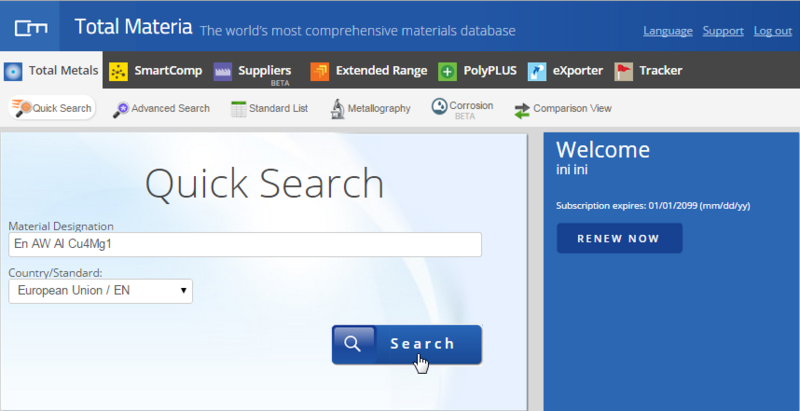 PSBs are areas that rise above (extrusion) or fall below (intrusion) the surface of the component due to movement of material along slip planes. This leaves tiny steps in the surface that serve as stress risers where tiny cracks can initiate. These tiny cracks (called microcracks) nucleate along planes of high shear stress which is often 45° to the loading direction. 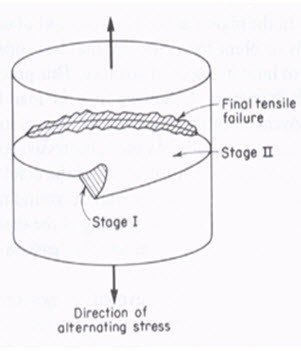 In the second stage of fatigue, some of the tiny microcracks join together and begin to propagate through the material in a direction that is perpendicular to the maximum tensile stress. Eventually, the growth of one or a few of the larger cracks will dominate over the rest of the cracks. With continued cyclic loading, the growth of the dominate crack or cracks will continue until the remaining uncracked section of the component can no longer support the load. 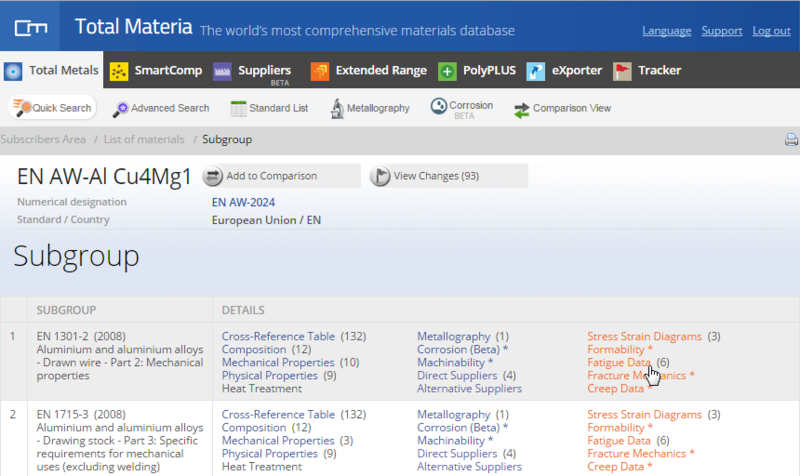 At this point, the fracture toughness is exceeded and the remaining cross-section of the material experiences rapid fracture. This rapid overload fracture is the third stage of fatigue failure. Failure of a material due to fatigue may be viewed on a microscopic level in three steps: Crack Initiation, Crack Initiation and Failure, as shown in Figure 2 A, B. Figure 2: A diagram showing location of the three steps in a fatigue fracture under axial stress. 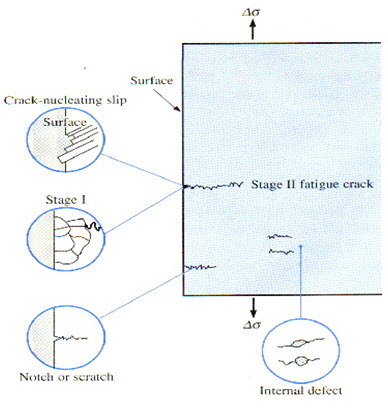 The figure above illustrates the various ways in which cracks are initiated and the stages that occur after they start. This is extremely important since these cracks will ultimately lead to failure of the material if not detected and recognized. The material shown is pulled in tension with a cyclic stress in the y, or horizontal, direction. Cracks can be initiated by several different causes. The three that will be discussed here are nucleating slip planes, notches and internal flaws.